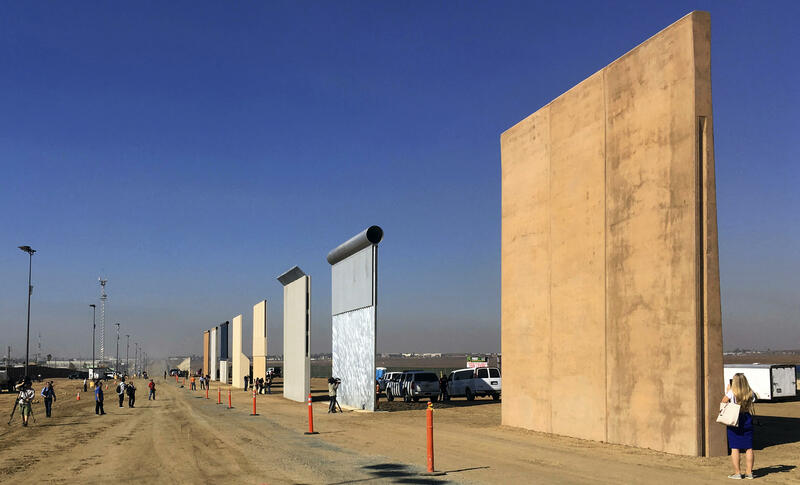 As President Trump plans to visit California Tuesday to see prototypes for a U.S. - Mexico border wall, the idea of building a border wall continues to be unpopular with most Americans, and sharp partisan splits remain. Most Republicans support it, while most Democrats and independents oppose it. These percentages have held steady over time. We find partisan divides over whether "sanctuary cities" can refuse to assist federal efforts in detaining or deporting illegal immigrants; President Donald Trump visits California amid legal battles between the Justice Department and the state. Half of Americans – and most Democrats - think cities should be allowed to deal with illegal immigrants as they see fit, while another half of Americans – and most Republicans - think such cities should be forced to comply with federal anti-immigration efforts. On the broader principle of whether states or the Federal government should have power on immigration laws, partisans not only divide, but have switched places in recent years. Republicans today say the Federal government should have authority, not the states – a notion they rejected when President Barack Obama was in the White House and Arizona was drawing attention for passing its own measures; today most Democrats say the states should have power, having reversed their thinking from 2010. This poll was conducted by telephone March 8-11, 2018 among a random sample of 1,223 adults nationwide. Data collection was conducted on behalf of CBS News by SSRS of Glen Mills, PA. Phone numbers were dialed from samples of both standard land-line and cell phones.